How much traffic do the websites of your peers get? Do they have more daily visitors than you or is everybody faking it till they make it? I wanted to know and created a survey to uncover website traffic statistics for freelancer websites. And while we were talking, I asked the freelancers about their toughest challenges when it comes to running a website to grow your business. How many daily visitors on average do you get? Where do most of your website visitors come from? What do you find most challenging when it comes to your website? I created the survey in Google Forms. To collect the answers, I posted the survey on Twitter and LinkedIn and asked many of my friends and peers to take it and share it with their freelancer friends. After 5 weeks, I’ve collected 250 answers, and here are the results. Below, you’ll find website traffic statistics for freelancer websites – daily website traffic and main traffic sources by business niche, age and domain authority – as well as the main challenges of freelancers with respect to getting new business through their websites. The largest group of the freelancers surveyed were copywriters (34%). Business consultants, bloggers / writers, and designers made up a share of around 12% each. 36% of the freelancers got their websites less than a year ago. The number of the websites between 1 and 2 years as well as 3+ years were a bit less: 25% and 27% respectively. The survey revealed a surprisingly low number of websites between 2 and 3 years old (10,8%). It seems like after 2 years some freelancers give up. A whopping 61,8% of the freelancer websites surveyed get fewer than 20 visitors a day. 18,4% get between 20 and 50 daily visitors. And only 19,6% get more than 50 visitors a day. In their first year, 81% of freelances have fewer than 20 daily visitors. Naturally, the website traffic increases over time. In their 2nd year, 57,1% websites get fewer than 20 daily visitors, and 17,5% have more than 50 visitors a day. The website traffic refuses to take off for the first 2 years. Even after the 3rd year of freelancing, only 40,6% get over 50 daily visitors, and 45% still have fewer than 20 people a day visiting their website. This doesn’t necessarily mean that those 3+ year old websites aren’t working properly. To get client inquiries, the freelancers who are longer in business often rely less on the website traffic and more on the referrals. For the websites overall, search is the main traffic source (40,8%), followed by direct traffic from personal contacts and word of mouth (30,8%) and traffic from social media (27,2%). Other traffic sources reported included referrals from guest blogging. For the websites younger than 1 year, direct traffic and traffic from the social media are the dominant sources. This evens out between year 1 and 2. After the 2nd year, organic traffic clearly dominates. It seems like the majority of the freelancers who survived their 2nd year are those who invested their time and effort in the SEO. The main challenges of freelancers seem to be getting client inquiries (45,6%). Yet, only 12,8% find it difficult to write the copy for their homepage, About and sales pages. Is it possible that not paying enough attention to your website’s copy is contributing to the lack of inquires? The second biggest challenge is getting more website traffic, which is a struggle for 27,4% freelancers. 18,4% reported that they feel generally overwhelmed. Designers think they write good copy. Coaches feel most overwhelmed. While there’s not much difference in how much everyone’s struggling to get inquiries (around 50±5%) and growing their email list (18±2%), some other challenges (or their absence) are more prominent for a particular group of freelancers. Some of those differences can be explained by the occupation. Naturally, copywriters have no problem writing blog posts and web copy, while web designers rarely struggle with technical issues. Similarly, 35% of freelance writers and bloggers struggle to write engaging blog posts probably because their peers are also good with words, and it’s harder to stand out. Yet, why only 6,5% of the designers think writing copy is easy and why business coaches and consultants feel overwhelmed more often then other freelancers remains a mystery. Whether it’s a brand new website or one that has been there for a couple of years, it still doesn’t get enough client inquiries for its owner. The same is the case with the website traffic. The first 3 years of running your own website seems to be quite overwhelming, and only after year 3 being overwhelmed doesn’t make it to the Challenges Top 3, making room for growing an email list. Do you know what your Domain Authority (DA)* is? If you don’t, you are not alone. 62% of your peers don’t know that either. Among those who knew, 52,6% have websites with DA below 20. * – Domain Authority is a ranking score from 1 to 100 developed by Moz. It predicts how well a website will rank in search. To find out your DA, install Moz Bar Chrome extension and navigate to your website. Naturally, DA increases with time. Yet, some websites over 3+ years still have a low DA, probably because they don’t blog or rely that much on organic traffic when it comes to inquiries. Freelancers who know the DA of their websites seem to get more traffic, feel less overwhelmed and struggling to get client inquiries less often. It makes sense as those who took time to find out their DA did it with a purpose of growing it, and now have a better understanding of what to do to drive traffic to their websites. Hi. I’m Jenny, and I’m a freelancer. I have a website, but it’s really new, not even one year old. …mostly directly from personal contacts. …and more traffic to my website. But sometimes I’m struggling with the technical issues or feel generally overwhelmed with this website thing. …write the copy for my web pages and find time to work on my website. The results of the survey that cover the overall number of participants, such as daily website traffic, traffic source #1, domain authority, and main challenges, have a confidence level of 88% with a 5% error margin. Also, as the participants of the survey were randomly selected, the relatively smaller number of the websites between 2 and 3 years seems not coincidental. Yet, the results within individual subgroups (traffic by website age, challenges by occupation, etc.) have a lower confidence level and are more likely to have been different if the number of the freelancers surveyed was larger. Please include attribution to gillandrews.com with this graphic. Might you not just as soon suppose you attract more readers with new blogs? And why is a quarter of websites of +3 years a small number? Do you have other figures to compare with? Re your question: First of all, my survey went far beyond my followers. So I don’t think the reason for the websites between 2 and 3 years being significantly fewer can be attributed to the character of my audience. – this great article by Naomi Dunford who has been helping business owners grow for 20+ years that says that the path of your business is an S-curve where at first it usually stagnates. Regarding the website owners with the websites of 3+ years: I wouldn’t say they are a small number. They were 27,6% of the respondents (more than a quarter). >> Ok. Qualitative results on your side. Dunford gives no timeline, just a developmental sketch. I agree with that experience, by the way: it can seem to stand still before taking off. I just meant, however, that you might have a unrepresentative sample. >> My mind was muddled there. I stand corrected. Thanks. Oh, sorry, my bad. I understood “Might you not just as soon suppose you attract more readers with new blogs?” as if you are saying my blog attracts new readers. This was REALLY enlightening 😁 I will find out my DA immediately and act on it! I find your tips really helpful and will be referring back to your survey. I wonder whether results would be similar in other areas of work? I wonder if perhaps in time you could investigate the differences in web traffic between freelancers with a definite niche and those who provide more general services. I’d find the results of this interesting. Thanks for your hard work on this. Very much appreciated and very useful. Thank you for your kind words 🙂 I’m happy to hear you found this information useful. Thank you so much for participating in the survey and for stopping by! ‘Yet, only 12,8% find it difficult to write the copy for their homepage, About and sales pages. Well, generally speaking, if you aren’t a copywriter and you find writing web copy easy, chances are you’re doing it wrong. If, at the same time, you don’t get enough client inquiries, you’re most certainly doing it wrong. From the personal experience I have to report that only because someone is a copywriter it doesn’t automatically mean you’ll have a great web copy on your website. 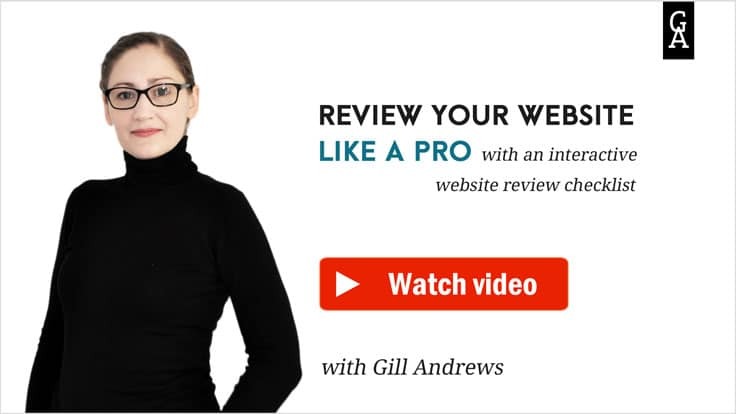 Actually, you should, but my experience while reviewing websites shows it’s by far not the case. So, when I look at this data and see that only 4% of the copywriters find writing copy on their website difficult but at the same time 50+% are struggling to get inquiries, I have to ask whether they aren’t overconfident and whether spending a bit more time on their homepage, About page and sales pages would be a good idea. Thanks for writing between the lines. Hey Gill! This is an amazing post! I love the realistic highlight of how long this online work actually takes (and that “more traffic” doesn’t equal more clients). As a coach myself, I think many coaches/consultants tend to be more overwhelmed than the rest of freelancers because their job is harder to describe, package and sell. It takes more time for a consultant to focus on the niche, client and offer (sp. how to package it) than for, say, a copywriter or a web designer where services are more focused and direct. Another aspect is how long it takes to deliver a service. While a copywriter’s work is immediately evident (new copy), a web designer’s is definitely clear, nobody “sees” what a coach does. Seth Godin talked in his Marketing seminar about different services and whether or not they lend themselves to a referral. For instance, if someone has had a haircut, everyone sees it, and you can easily let others know where to go and who to call. On the other hand, nobody can see that you just had a great massage, so referring clients is harder in that sense. If someone rebrands my website, people can see it right away, but nobody knows who my coach is (unless I talk about it) and how working with her has helped me in a specific area of business. And everyone can show their results. Every profession, I guess, can get testimonials or other things to show their readers the quality of their work. Even when their work is in an area surrounded with taboos – then you’ll have to work with anonimous testimonials, and find other ways to make them believable. I see Elena’s point. The effect a coach has on you or your business is not as immediately evident and “graspable” (is it a word?) as effect a good copywriter has on copy. And you can’t get testimonials if you don’t get any clients, as coaching is harder to sell at the first place precisely because of this difference in “graspability of the effect”. For example, to sell someone my copywriting services, I could just go and review their copy pointing out the mistakes and fixing a paragraph to show the difference. And then a person is sold. But how you quickly demonstrate the effect your coaching will have on a prospect? And this what Elena is talking about (as far as I understand). Thank you SO much for your eye-opening comment! I’ve never thought about it, but you’re totally right (also, great analogy with a haircut!). I left a more detailed comment on your conversation with Kitty, as I was a bit late your discussion has already evolved. Thank you, Gill for taking the time to produce this. The results are pretty eye-opening and it’s nice to know that the struggles I face are pretty normal. I’m only in my fourth month of freelancing and have been putting quite a bit of pressure on myself to ‘be better’. Perhaps it’s time to relax on that front a little and enjoy the ride. Hi Gil, great survey. I wasn’t doing as bad as I thought, LOL. Though I still want to grow my traffic as I’ve been at it for years. I can’t seem to get over the 300/day hump. My next tactic is to revamp a lot of old posts on the site and make them better for SEO and my readers at the same time. I often cringe looking at some of the old posts I have. Thanks for all the info and tips here too, much appreciated and glad I participated Gil. Have a great day and a new week. Thank you so much for your kind words. And yes, 300 visitors a day isn’t bad at all. Revamping your old posts seems like a great idea, especially if you know they have a lot of participants. Thank you for helping me collect the answers and for stopping by! Great work! Re: copywriters struggling to write content vs other professions: in my experience, the problem isn’t because of keeping up with the competition—it’s “the cobbler’s children go barefoot” issue. It’s hard to consistently publish content/copy for yourself when you’re busy writing it for others. I’d be interested in seeing a follow-up post in which you have some direct conversations with freelancers to understand the context of the survey numbers. Qualifiable data will help you understand the whole story. Thanks for putting this together! Hi Alaura. Thank you for your kind words. Glad to hear you liked the post. The results showed that bloggers and writers struggle with copy and blog posts the most. Unfortunately, having direct conversations with freelancers isn’t my domain (rather, telling them what’s wrong with their websites), so I’m not sure about a follow-up post. But if you’ll come across a post that addresses this topic, let me know. I’ll be interested to find out more about it myself. Thanks again for your help with collecting the answers and for stopping by! Great insights, as always, Gill! Very useful information. Thank you. Greetings from Romania! Hi Ana. Thank you 🙂 Sunny greeting from Germany! Thank you soooo much for your helpful insights and for my webpage review. (I fixed almost everything but I have technical struggles for a few last things, I need to see with my webmaster). It is so reassuring to know I am not the only one with low numbers on web traffic at this stage … currently early in year 2. Thank you for the insights and review of my site. My pleasure, Catherine 🙂 I was hoping for this survey to deliver some reassuring results, and I’m happy to see that it did. This is a great insight, Gill! It gave me an idea as to where I need to focus on my own website. Thank you, Lakshmi. Happy to hear you found it useful. Very interesting. I am thinking about it. For now: how do you explain that so many copywriters are following you – percentagewise? Is it because copywriters are interested in this stuff, or does it have to do with recommendation of certain wellknown copywriters? 😉 (I am thinking in terms of enchantment). Re many copywriters following me: I wouldn’t make this conclusion. The reason that I had many copywriters answering the survey is that some well-known copywriters helped me promote it, among other things by sharing it in with their colleagues and in internal group. Also, among my followers there are many who aren’t freelancers, and they are obviously not presented in the survey. So, I wouldn’t say that this survey shows that percentage-wise the majority of my followers are copywriters. They may as well be entrepreneurs or small agencies. But many copywriters are definitely among those freelancers who engage with my posts more often. Great advice, Gill. I really ought to get a proper site audit one of these days. So true, blogging is a real time eater! I love reading about other people’s experiences. So thanks again for this! You’re right about referrals, though originally I got quite a few clients from local SEO. I started by optimising for my home city, for instance: Cambridge PR and Cambridge copywriting, and everything mushroomed from there. So for me local SEO was a real springboard. Re local SEO: I noticed! Your About page has an unusual slag: cambridge-pr-agency. So I guessed you’re optimizing for local. Seems like it’s a great idea! Then maybe write a few blog posts focusing on something where you get to say local keywords often enough. * put “About” section after every blog posts where you get to say “Tam is “. * add testimonials (or change them with the client’s approval) to include your keywords. And congrats on getting such an excellent response. You can count my traffic on one hand some days, but for me a homepage that attracts/repels/pre-qualifies clients works well. Don’t get me wrong, I’d love more traffic so this is a great reminder I ought to blog more! I think I’ve told you once that you’re not the typical “I started from scratch” case. As far as I understand, you already have a good client base and get retainers or new clients from referrals. You’re also not alone in this regard, and there were more people who answered that they use their website as a business card and get clients from somewhere else. So traffic is not essential to running a successful business. Yet, if you want more inquiries through your website, blogging would be a good idea (as you’ve mentioned yourself). But blogging is an exhausting marathon, and the effects kick in only after 6 months, earliest. So it may be not everyone’s cup of tea. I know people who drive clients solely from LinkedIn. I guess there are many ways to do business online, even without traffic to your website. Thanks for helping me collect the answers and for stopping by! I struggled with copy for both my Home and About pages in particular and am sure this contributed to the lack of enquiries. Hi Yolanda. Thanks for sharing this! I read multiple times that the first 2 years are the hardest, and it often feels like stagnation, and I’ve also experienced it myself. Yet, it was still surprising to see how the survey confirmed that I’m not alone on a bigger scale. That’s wonderful information Gill! So very helpful for a ‘Jenny’ like me. Thanks for conducting this survey. It definitely gives direction to someone with a new website. My pleasure 🙂 Hats off to you for collecting data from 250 freelancers. Well done 👍🏻 It sure is reassuring to know that there are so many other freelancers out there with the same struggles. Hi Gill. Thanks for sharing this. – The graph ‘daily visitors by website age’ is impossible to interpret without a key to what the circles mean. – It would help to give a link to find out what domain authority is. – I suspect an audience with fewer copywriters would count writing copy as more of an issue! Hi Tim. Thanks for stopping by. – The circles in “The daily visitors by website age” mean “daily visitors”. The key is given on the Y axis. The chart isn’t supposed to represent exact values but aims to demonstrate the relative changes over time. – I didn’t want to distract from the survey by giving a link, but I’ll add a footnote later today. Thanks for pointing it out. – Jenny isn’t supposed to represent a typical freelancer in the universe but with respect to the results of the survey. I’ll make sure to add a clarification sentence, thanks. Yet, although only 4% of copywriters find writing copy difficult, 50% of them are struggling to get inquiries. And judging by the copywriter websites I’ve seen where not every copywriter website had good copy, I can imagine the overconfidence in your own copy plays the role here.